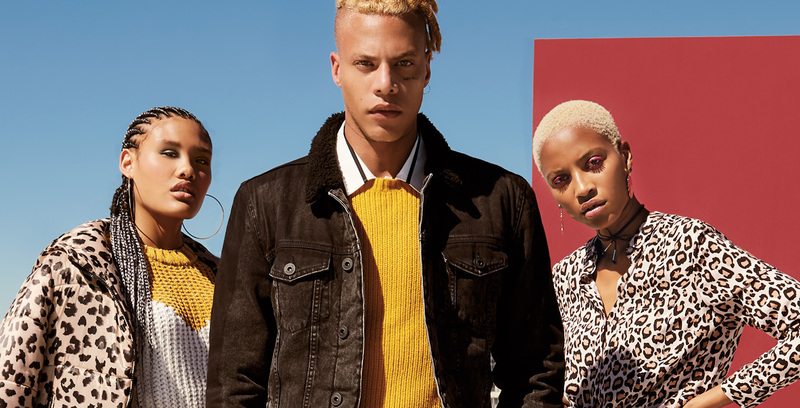 We highlight two of the biggest trends this season – mustard and animal print – and how you can get in on the action. Two of the hottest trends this autumn/winter just happen to be two of our favourite obsessions at the moment – mustard and animal print. We dive into what we love most about these trends, and the best ways to wear them. Move over, millennial pink - mustard is where it’s at! First lauded as ‘Gen Z yellow’ by Man Repeller’s Deputy Editor Hayley Nahman, this sunny, unadulterated hue conveys feelings of zeal, optimism and hope, and isn’t showing signs of disappearing anytime soon. Pantone Color Institute announced ‘Aspen Gold’ as one of its colours for 2019, and soon after we witnessed the bright shade pop up on runways at shows by Oscar de la Renta and Carolina Herrera. 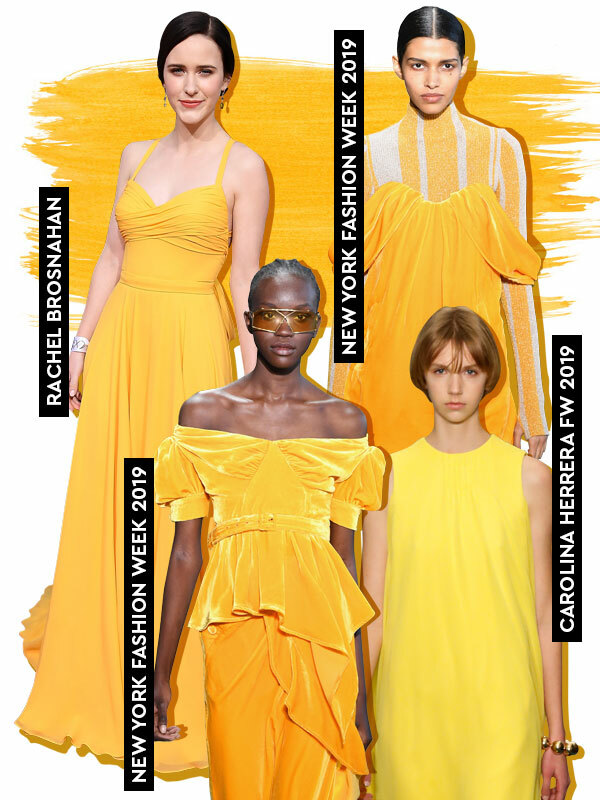 Bright yellows pervaded at this year’s New York Fashion Week, and numerous celebrities followed suit, with Constance Wu channelling Beauty and the Beasts Belle with her yellow tulle dress to the 91st Academy Awards and Rachel Brosnahan sporting the same controversial colour at this year’s Golden Globe Awards. 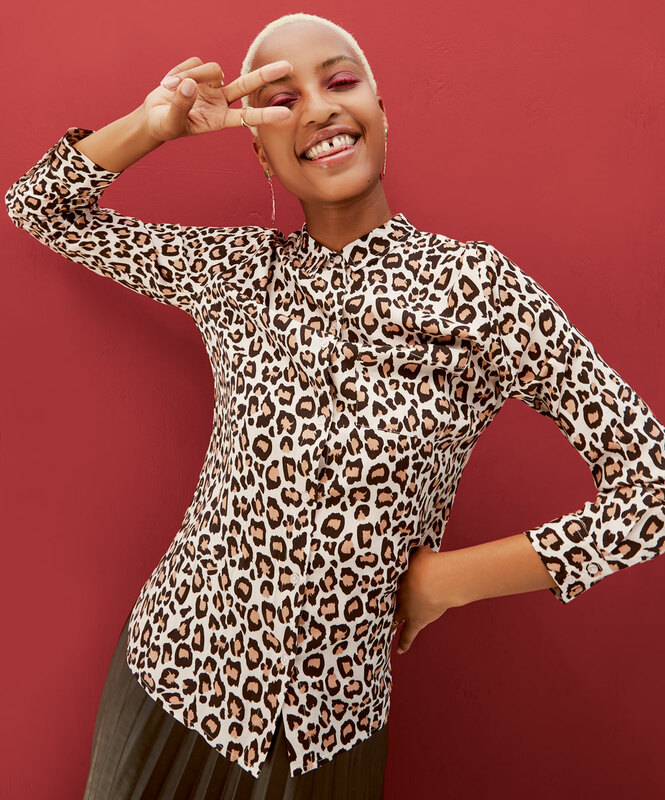 On the print spectrum, leopard print has always been the go-to when it comes to sporting something a little bit wild and animalistic. However, this trend has evolved further than the leopard-print staple and in 2019, snakeskin is being taken for a test drive on catwalks and city streets around the world. 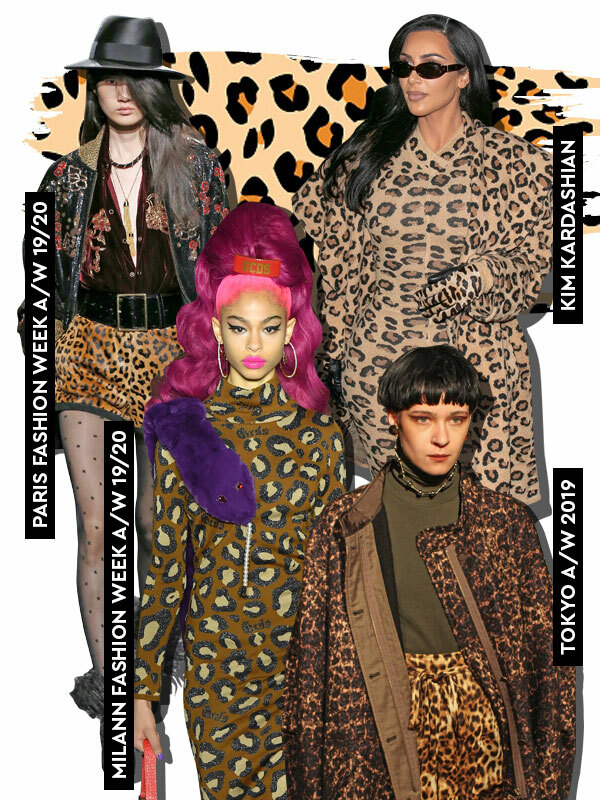 Forming part of the runway trends for 2019, mustard and animal print are bang on-trend. We show you how to ace these trends. When introducing mustard to your wardrobe, it’s best worn with wine-red hues of burgundy, plum and maroon. Add a punch of mustard to your outfit in the form of leather boots, parkas, puffer jackets, plaid and retro corduroy button-down skirts. Being less flashy than its classic yellow cousin, mustard is an exciting alternative to the neutral tones that tend to dictate our autumn wardrobes. Keep your accessories minimal to let it take centre stage – this is a colour that doesn’t want to compete for attention. LISA: Free 2BU leopard-print puffer jacket 499.95 SHOP NOW; Free 2BU multi-coloured chunky knit 349.95 SHOP NOW; Free 2BU side-stripe leggings 299.95 SHOP NOW; Free 2BU dad sneakers 399.95 SHOP NOW. MAX: JX lined-collar denim jacket 899.95; JX crew knit 299.95; D66 check suit pants 499.95; Dr. Martens embossed boots 3299. DEJA: Free 2BU leopard-print shirt 229.95 SHOP NOW; Free 2BU PU leather skirt 299.95. Animal print will soon become your new favourite neutral. Snakeskin trousers are taking the place of plaid and check pants, which usually serve as a dependable workwear staple. While it may seem a little out-there for some, this racy print works best with a clean-lined, tailored pair of pants that showcases a timeless silhouette and contrasts well against its loud nature. For the less brave, simply grab a clutch bag to pop against an all-black outfit or dip your toe into the trend with a pair of neutral-hued block-heeled snakeskin boots. The trick here is too choose items that pick up in the colours of the print. For example, classic snakeskin would work effortlessly with beige, grey, white and even mustard (layer a mustard jersey over a leopard print shirt) so don’t be afraid to pair the hot hue with animal print. 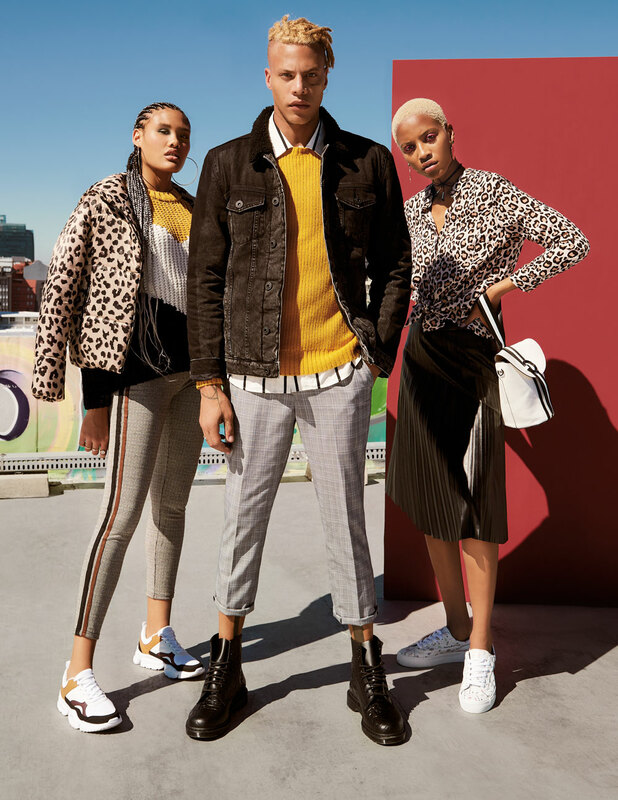 LISA: Free 2BU leopard-print puffer jacket 499.95 SHOP NOW; Free 2BU multi-colour chunky knit 349.95 SHOP NOW; Free 2BU side-stripe leggings 299.95 SHOP NOW; Free 2BU dad sneakers 399.95 SHOP NOW. ● Try not to wear either trend from top to bottom, unless you’re looking to make a specific fashion statement. If this is the case, then opt for a tailored pants suit. ● The key to pulling off animal print with class is all in the silhouette – steer clear of the print in items that are too short or tight, as you could veer into trashy territory. ● Pair animal print with solids. An animal print top with a pair of black cigarette pants says sophisticated rather than sleazy. ● Keep accessories minimal – let the colour and print do the talking. ● White and yellow are a match made in heaven. To emulate a curated urban streetwear look, pair mustard with crisp and clean white sneakers. Fashion direction & production: Brittany Penebre. Photography: Paulo Touriero /Hero. Video: Roice Nel. Hair & make-up: Shahnaz Wels-Cola/SNCM & Kelly Paitaki/Gloss. Styling: Taugheeda Abdullah-Jacobs. Models: Max/Pulse, Lisa P/Fanjam, Deja/Boss. Written by Emma Follett-Botha.